Fluffy. Crunchy. Smooth. Sparkly. Iridescent. Irresistible. Slime has arrived, bringing with it a tangible sense of serenity. It’s a beautiful substance, enjoyed on many levels: Discover the alchemy of making your own; chill out with slime-playing videos; and/or get inspired by playful presentations of every iteration slime can take. 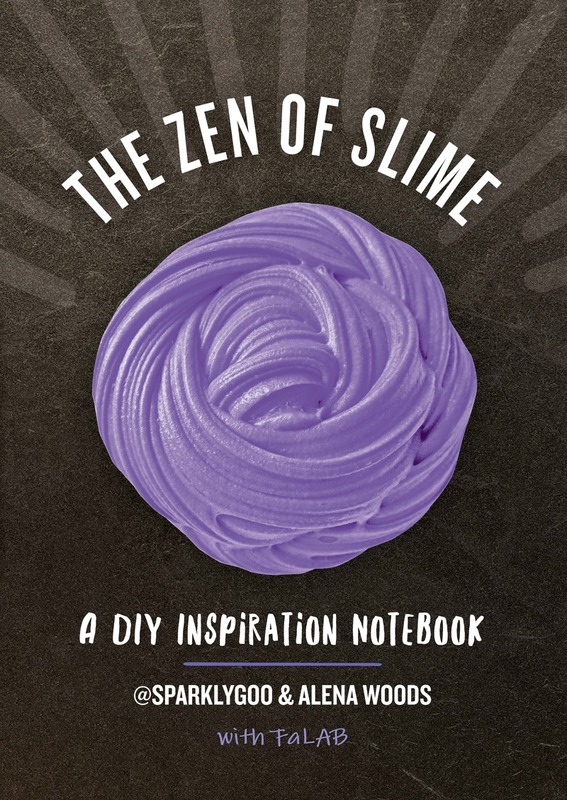 Whatever your pleasure, The Zen of Slime celebrates it with stunning art, secret recipes, interviews with Instagram sensations, and branding, packaging, and photography advice. Embrace the slime. Your journey has already begun. Prim Pattanaporn, a.k.a., @sparklygoo, has been featured in Vice, Time, Popsugar.com, and elsewhere. Her most popular slime video, Borax-Free Vanilla Whipped Cream, has been viewed nearly 250,000 times. Alena Woods is an editor and writer who lives outside New York City. Fallon, Aspen, and Charlene Ayala are FaLAB, known for unique slimes, including the 14K Gold Series, Soothing Spa-Scented Slimes, Tiffany Pearl Butter Slime, and Crunchy Fishbowl Slime. Find them online at FaLABco.etsy.com.